Future Trends Speaker "Creator of Inspirational Futures" - The Times"
Anne Lise Kjaer is a renowned global futurist. She delivers out-of-the-box thinking and is a sought after inspirational speaker. 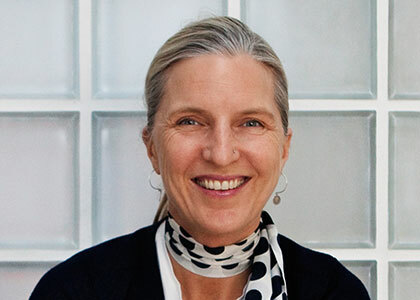 Anne Lise works with some of the world’s leading brands including ACNielsen, Nokia, IKEA, Sony, Toyota, Unilever,and McKinsey. She has an exceptional eye for ‘the next big thing’ and an original and inspiring way of translating fledgling concepts into viable commercial propositions. Anne Lise’s business career began in Denmark. Initially she specialised in forecasting for the design industries and worked in Hamburg and Paris before choosing London as her global base. By then, she had already broadened to strategic corporate futures and she began working with leading brands. Today her client base numbers over 200 international corporations. Despite her global vision, Anne Lise retains strong links with her home country, where she is regarded as a leading commentator.